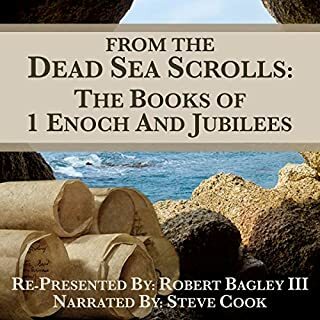 The Books of 1Enoch and Jubilees are by far the two most common extra-biblical texts discovered among the Dead Sea Scrolls. That alone is reason enough to study them with great interest. Below are a few more reasons to give each of these "time capsules" of Pre-Christian Jewish thought and theology the unabridged and uninterrupted listens they deserve. Only then can one completely grasp the teachings of the New Testament for oneself. 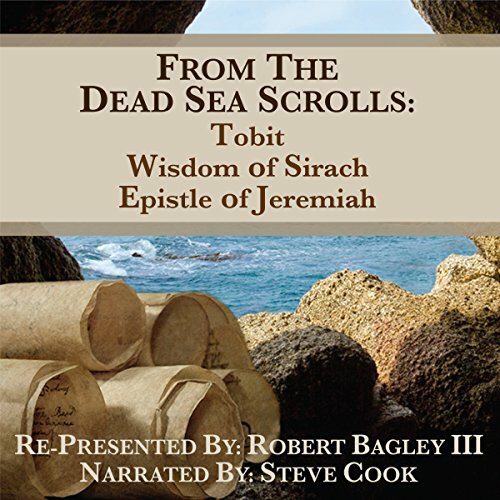 Autobiographies from the Dead Sea Scrolls. The Talmud teaches that the ancient patriarchs were all prophets, and that each one of them left testaments for their descendants to read. These contain commands for their children, moral lessons, and prophecy. This legend is not only repeated among the Essene community, but fragments of 20 such records have been found in the Dead Sea Scrolls! 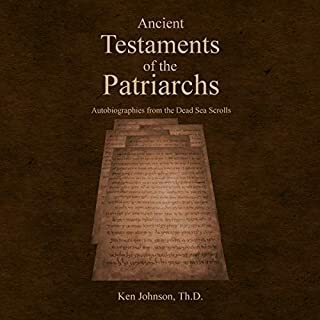 Dr. Ken Johnson and his books are great. 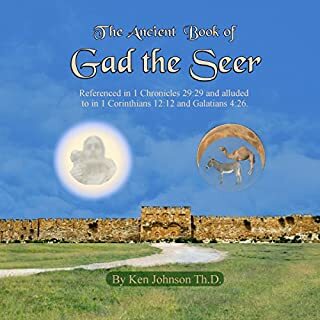 Written by Gad, seer of King David, about 1000 BC, this book of prophecy is recommended reading by the Bible, but was never included in the Canon. It was thought to have been lost over three millennia ago. The books of Gad, Nathan, Ahijah, Shemaiah and Iddo are referred to as “The Lost Five.” This long-lost book includes two revealing sermons given by King David. We have a prophecy that outlines the end times beginning with the Rapture, the seven-year tribulation and the establishment of Christ’s millennial reign. Learn more about the Lord! & Be Blessed! 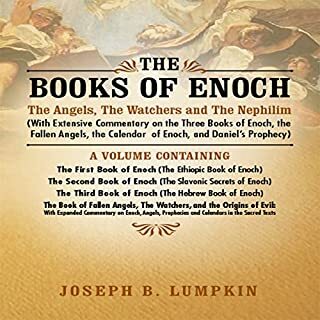 Why is The Book of Enoch so important to anyone interested in Biblical history? The answer is simple: It is directly quoted in the New Testament by Jude (vv.14-15). Themes of the book referenced in 2 Peter 2:1. Jesus also used content from The Book of Enoch in many of his sermons in Matthew and Luke. In this text, you will hear the word of God through this amazing document. We will take this amazing journey together and learn why this text is not an official book of the Bible. 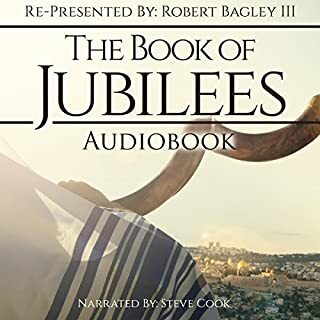 This is the full, uninterrupted audiobook of the story of I & II Maccabees - read with the passion this masterpiece deserves by number-one best-selling voice talent Steve Cook. Hanukkah or Chanukah is an annual Jewish celebration in the late fall/early winter that dates back to circa 164 BC. It was also referred to as "Festival of Lights" or "Feast of the Dedication" or "Feast of the Maccabees". 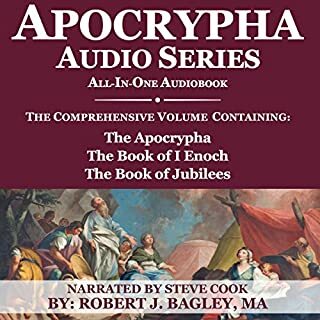 Found in the Apocrypha, The Books of I & II Esdras use supplemental materials taken from II Chronicles and Nehemiah to revise the book of Ezra, which is contained in the Bible. Esdras is the Greek form of Ezra, which is Hebrew. The story about the King of Persia questioning the three young men is found in this book as well. The King asks the three to enter into a debate over his question, "What is the strongest thing in the world?" These three books all share two things in common; they were all found in the Qumran Caves of the Dead Sea Scrolls in the late 1940's-early 1950's and they are also found in the millennia-old apocrypha. You're sure to enjoy this stunning, semi-dramatized audiobook as it is read with the passion it deserves from voice talent and best-selling audio producer, Steve Cook.